Remember that Red Hot Relish? Here is a fantastic use for it. 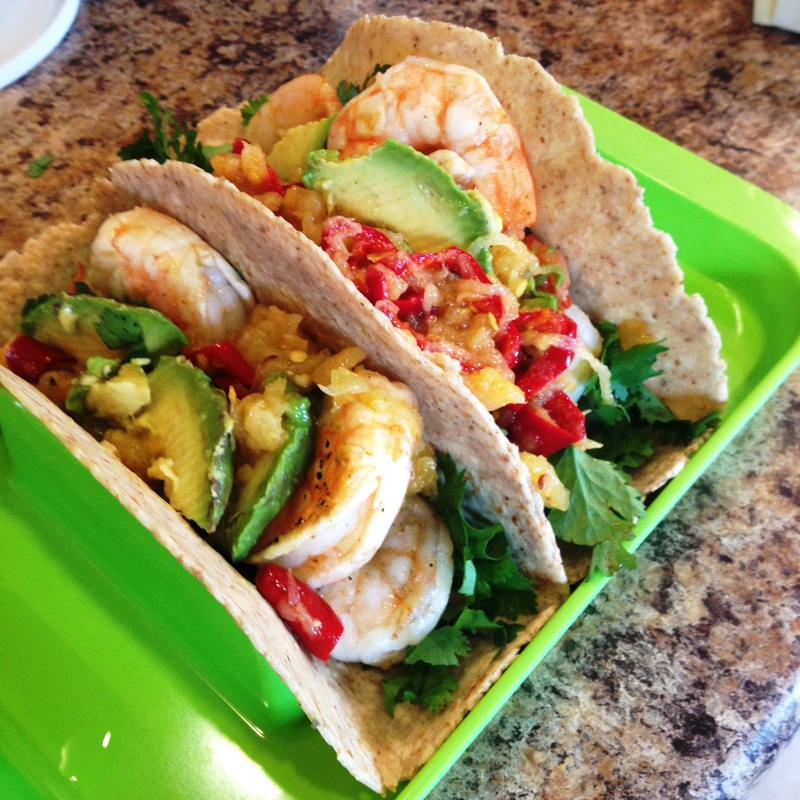 I sauteed some shrimp, warmed some soft flour tortillas, and added fresh cilantro and avocado. (Of course, you could use this relish on a pork, chicken or beef taco, too!) BOOM! 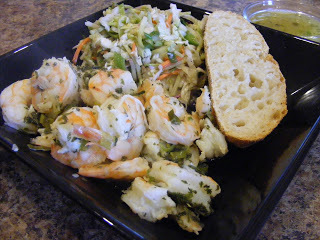 A very simple dinner that is healthy and delicious! 1. Preheat grill to get it hot. 4. Form each piece of foil into a boat shape. 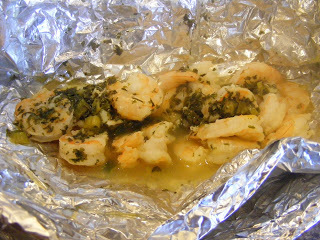 Place a portion of shrimp on the foil. Cover with 1/4 of the butter-scallion mix. 5. Add 1 ounce of wine and seal each packet tightly. 6. Place on hot grill for 7-8 minutes.